Open for tastings on Friday through Sunday, noon to 5:00 p.m.
Bear River Winery was founded in 2009 at the north end of Lake Combie on the banks of the Bear River in Meadow Vista. 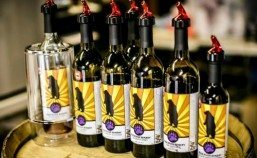 We are a family operated boutique micro wine grower producing small case lots of hand crafted wines using traditional methods from grapes sourced in and around Placer, Nevada and El Dorado county vineyards. We are currently offering six wines for tasting. Our Barbera flight is all produced from Barbera grapes sourced from Viani Vineyards in Pilot Hill. Bonitata Boutique Wine prides itself on attention to details. Each wine is handcrafted and barrel aged then bottled at the right moment to deliver that special taste to your palate. Our grapes are hand-picked from vineyards located in the Sierra Foothills. The grapes are picked just at the right balance of sugar, pH and acid to produce a very special wine. You can meet the winemaker and ask questions or tour the winery. 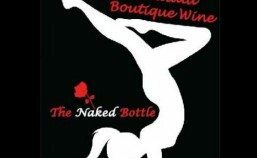 Bonitata Boutique Wine is located in the original Bernhard Winery founded in 1874, located at the Bernhard Museum adjacent to the Gold Country Fair Grounds. This historic building is made of stone with two foot thick walls which are partially buried into the hillside. The perfect storage for our hand crafted wines. After enjoying your wine tasting you can take a tour of the rest of the museum. Parking is located at the main museum parking lot just a short walk from the winery. The winery is also available for rent for that special occasion (anniversary, birthday, wedding, etc). 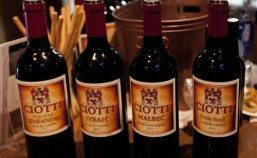 Ciotti Cellars is a small production winery located in Placer County. Small production means we focus on making small lots of ultra-premium wines for your enjoyment. Because of this limited production we’re able to pay extra attention to details creating wines rich in aromas, deep in color and character with velvety finishes. Using only the finest grapes grown in the Placer County / Napa Valley regions we’ve been able to create a little sunshine in a bottle. Generations after Generations of winemakers have been born in the Ciotti family. As young boys, Giuseppe and Archangelo heard stories of how their Grandfather emigrated from Italy stowed away in a wine barrel to begin a new life in America. As young men they, watched their Grandfather Father and Uncle’s make Hand Crafted Wines as a part of their culture and heritage. Today Ciotti Cellars is committed to making sure that same time honored family tradition continues, carefully cultivating and selecting only quality fruit to make premium hand crafted wine’s to be enjoyed and shared with family and friends. Tastings by appointment only, April – November. 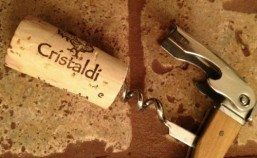 At Cristaldi Vineyards we have a true passion for artisanal winegrowing. In the vineyard and in the winery we focus on the most natural and traditional techniques possible as we are committed to crafting truly authentic estate wines, wines of elegance and depth, with a vibrancy and resonance that recalls the living vineyard of their origin. We hope you will find our passion evident in every bottle, as we believe our philosophy promotes the right conditions to create food-friendly wines with true varietal character and a definitive sense of place. 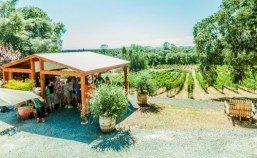 The Estate specializes in producing limited production single-vineyard and field-blended estate wines and extra virgin olive oils, hand-crafted in the finest old-world tradition. Owners Stewart and Stephanie Perry planted their vines in 2001 and opened their winery in 2004. They hand-craft all of the Fawnridge wines with particular care in keeping quality high at an affordable price. Their tasting area is located inside the winery for a very personal look at the winery. 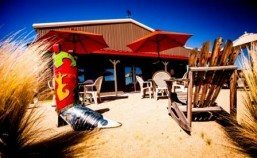 Fawnridge Winery is dog-friendly and also has a picnic area. 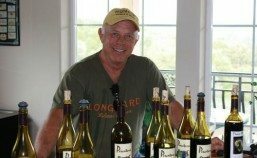 Lone Buffalo Vineyards offers premium Placer County wines crafted by a seasoned winemaker in the ambiance and with the down-to-earth attitude of a small boutique winery. Family owned and operated by Phil, Jill and Jocelyn Maddux, Lone Buffalo Vineyards is doing its part to return Placer County to its post Gold Rush roots as a premium wine-producing region. We emphasize food-friendly, Rhône-style wines with a twist of cowboy and old west philosophy. Open Weekends 12 to 5, and Private Tours and Tastings Available by Appointment. PaZa is surrounded by picturesque views of the Sierra Foothills, the Sutter Buttes, and Coastal mountains. So, we welcome folks who bring lunch, or other treats, to stay and relax with a glass, or a bottle, of our award-winning vino. Owners Pamela and Zane Dobson share an over the top enthusiasm for all things related to wine, and especially appreciate the many people who enjoy wine and life. In short – our wine making style is keeping it simple with serious passion! Why the name Pescatore? Meaning fisherman in Italian, fishing is Dave’s hobby when he’s not busy with the vineyard or winery. In addition, it is Patty’s immigrant Grandma’s maiden name. Nicolina Pescatore immigrated from Naples in the early 1900’s. Grandma always made her own wine. She even kept a carafe of wine in her refrigerator! 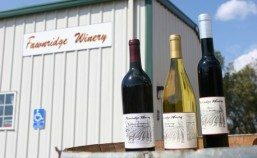 Our boutique winery produces only about 800 cases of wine a year. We tend each vine ourselves and the grapes are pressed manually in a traditional wooden basket press. Private events, online and wholesale sales. Check out our website for online sales. For private events and other information, follow us on Instagram or Facebook. 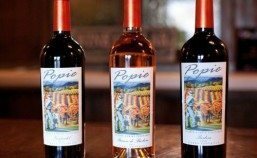 Popie Wines is a hand crafted boutique winery producing award winning wines. Since 1922, three generations of the Duarte family have worked in the Napa Valley growing high quality grapes that have produced award winning wines. I am the fourth generation Duarte continuing the family growing tradition, here in Placer County, my father (Richard “Popie” Duarte) taught me. 2006 found me completing the cycle, “from soil to bottle”, not just as a grower, but now as a winemaker as well. Over the years I have learned that “wine is truly made in the vineyard”. Our vineyard is family managed, maintained, and sustainably grown, allowing us the control to produce exceptional wines. I am now taking my family heritage to the next step in producing what I hope to be well made enjoyable wines from our Duarte Family Vineyards. 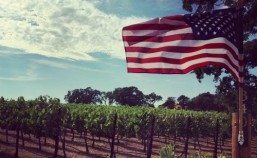 Rancho Roble Vineyards is a family owned winery with deep roots in grape growing and wine making. The vineyards “Syrah Noir” planted in 1999 and “Barbera” planted in 2000 produce luscious fruit year after year. The Barbera grape was selected because of its rich history in the area. The Italian Barbera was originally introduced to Placer County by the 49’ers during the 19th century Gold Rush. This varietal is also particularly well suited to the soils and oak savannah micro-climate of the Placer County Sierra Foothills where Rancho Roble Vineyards and Winery are located.